Silence is no longer always the best PR policy when it comes to social issues and most people (71%) expect companies to take a stance on social movements. Speaking out on social movements and issues can allow a business to position itself as a socially-conscious brand, but it can also backfire if not approached correctly. Deciding when and how to speak out on social issues comes with an infinite list of challenges and PR risks for businesses, however, these challenges are manageable. Company leadership should ask themselves these 3 questions before they decide to take a stance on today’s social movements. Will the Brand’s Stakeholders Stand Behind the Company’s Stance? Company leadership must consider not only their consumers, but also their employees, investors, suppliers, and other stakeholders before they take a stance on a social movement. Consumers are usually at the forefront of companies’ minds because a loss in too many consumers also means a loss in revenue. People want to shop at companies that support their beliefs: 75% of people say they are more likely to start shopping at a company that supports an issue they agree with. Conversely, 59% of people say they are more likely to stop shopping at a company that supports an issue they disagree with. Kaitlyn Dmytryszyn, a socially conscious consumer, considers the beliefs and values behind the brands she chooses to support. She chooses companies that prioritize giving back and adopting environmentally-friendly business practices. Company leadership should definitely consider the values of their consumers, but they should also consider those of their employees, investors, and other stakeholders. Does This Social Issue Align with the Company’s Corporate Purpose? Predetermining which issues are relevant to your brand and brand purpose will make it easier for you to decide which social movements and events to respond to. “Your corporate purpose is your North Star for deciding whether to respond to social movements,” said Steve Cody, CEO of Peppercomm, a digital communications firm in New York City. Both its consumers and employees will expect the company to speak out on movements and issues that align with the company’s corporate purpose. Staying silent on issues that are relevant to your brand can result in negative consequences from your stakeholders, including customers and employees. Does the Company Have a History of Responding to This Social Issue? Company leaders should not overlook the power of precedence when it comes to deciding when to take a stance on social movements. Knowing what the company has stood for in the past helps companies decide which social movements to respond to and when to stay silent. “Sometimes, we are able to use past precedent to rule our decision of the day,” Cody said. If a company has a history of speaking up on a certain issue or a history of not speaking up, they can use that to set the tone and boundaries of when they will and won’t speak up. For example, Patagonia has always positioned its brand at the forefront of environmental issues. Within the last decade or so, environmental issues have become increasingly politicized, which has made Patagonia’s stances increasingly politicized. While this move may not have worked for most companies, it did for Patagonia because they already established themselves as a brand that speaks out on issues regarding climate change, protecting public lands and conservation efforts. 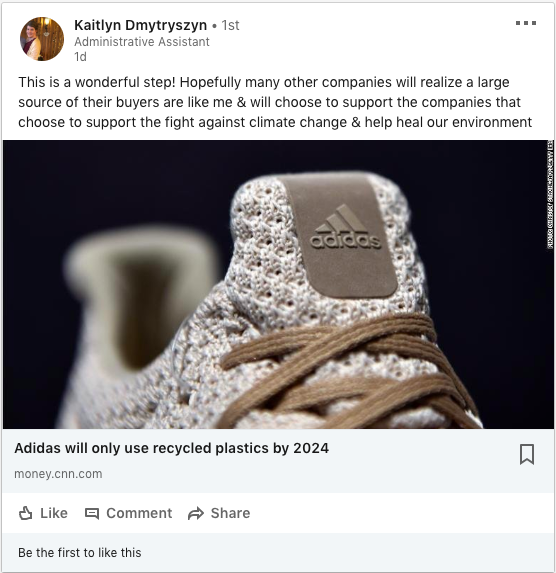 Companies can mitigate the risks associated with taking a stance on social movements by making sure their stances align with their brand purpose, their customers’ values, and stances they took in the past. Brand leaders that ask themselves these questions PR firms ask their clients will find themselves in a better position of determining whether to take a stance on social movements or stay quiet. Biz Tips: Do You Believe in Your Company’s Core Values?